A presidential aspirant of the Peoples Democratic Party (PDP), Alhaji Sule Lamido, has said that the Peoples Democratic Party (PDP) is the only party in the country with a well defined ideology and as such has no plans to change its name to suit those clamouring for that. Lamido stated this in Minna, Niger State, while addressing delegates to next month national convention of the party. The PDP Chieftain declared that anyone that was not satisfied with the party’s present name could leave the party. 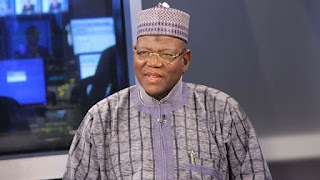 Speaking further, the former Governor of Jigawa State berated the APC, saying the ruling party was in a panic mode following defections, as all the brains in the party had defected. “Defection occurred when there is injustice and impunity. The impunity and injustice made people to leave PDP then. Those who left are now coming back. When they left us, we were able to manage it, we were able to conduct ourselves in a very dignified way because we are leaders. “What goes round comes around, it is now time for the APC to experience same and they are panicking because they have no capacity. When we faced same in 2014, we were very cool, calm and collected and were able to lead the party despite our losses,” Lamido added.